I am not one to follow recipes closely or even write them down. My husband is always saying “did you write this one down…” so this is an effort to remember the dishes he always asks me to make. This is one of my favorite fall soups and you can make so many variations of it, even adding apples to sweeten it up a little. This freezes very well. 4-6 Cups or chicken or vegetable stock – adjust to how much squash you are using I use a little more and then take off the extra stock, freeze it and use it in other squash recipes. 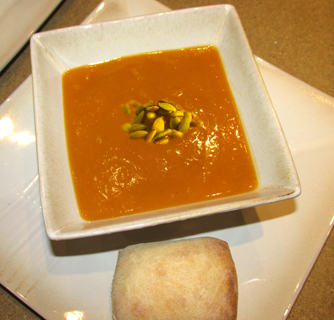 Prepare the squash: You can do this 2 ways. 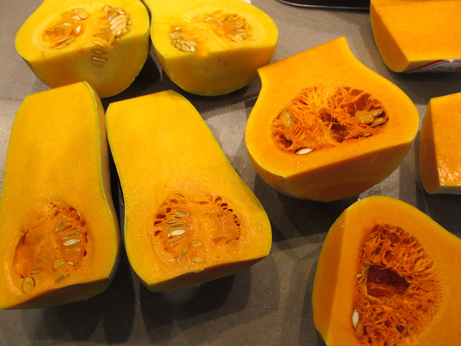 Either slice the squash in half from stem to root and scoop out the seeds and roast in the oven or peel and cut into chunks. This is the version I went with as I was under a time constraint. 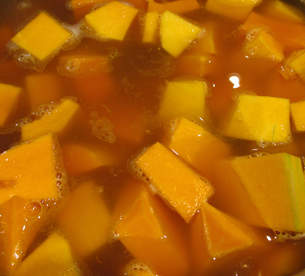 Transfer the squash to a large pot: Add the stock to the pot and bring to a gentle boil. 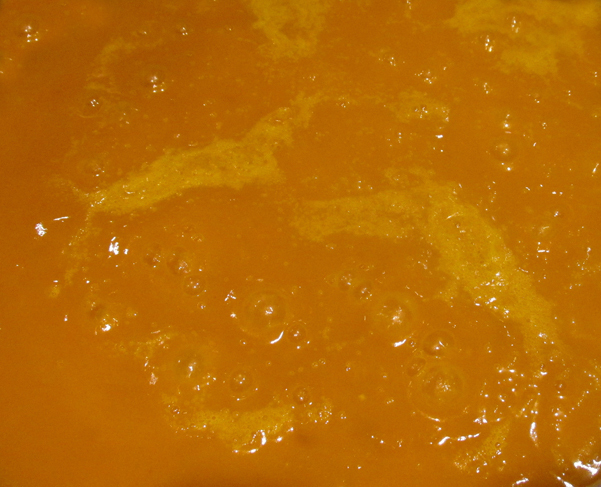 Add the squash chunks and simmer until fork tender. Caramelize the onions: In a large pot add olive oil to coat the bottom and when the oil is hot add the onions. Sprinkle with some sea salt and pepper. Stir frequently. When they are coated with the oil turn down the heat and cook until golden brown. This usually takes about 30-40 minutes. You have to watch them or they will burn. You may need to add a bit of extra oil. 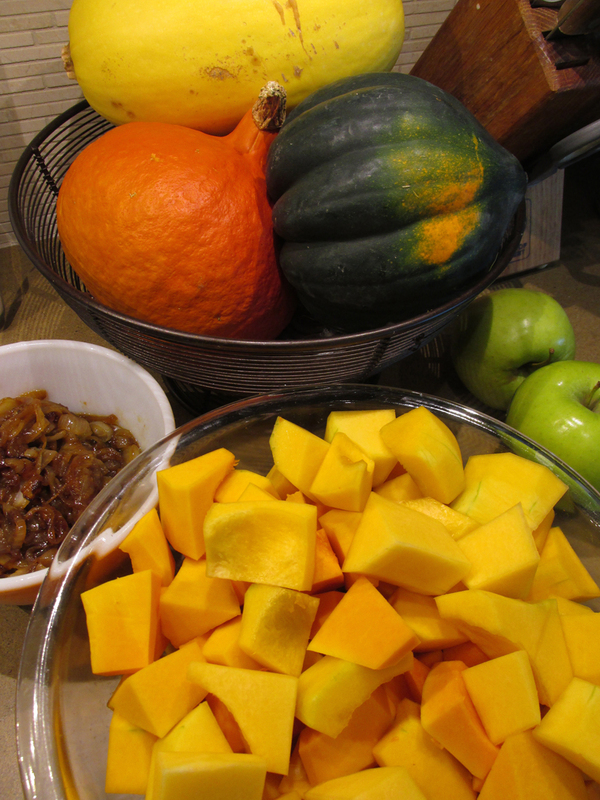 Puree the squash: When the squash is ready remove any excess stock – you don’t want it to be too thin. Add the onions and cinnamon. Puree in a blender or use one of the immersion blenders (which is what I used). At this point you can serve and garnish with croutons, crispy sage, roasted pumpkin seeds or pumpkin oil. If you are not eating right away transfer to a crock pot to keep warm.